a power that may seem magical and that allows someone to be very effective. an entirely new set of tactics for reporting, defined by an everready, DIY approach that allows an individual to act as a one-person news team. the process of gathering and delivering news using a smartphone. With social media sites now monopolizing almost all of the digital advertising dollars and audiences to boot, Relevnt is spearheading a powerful new publishing framework in support of the media industry around value-added Mobile Journalism called "MoJo". The MoJo framework is about restoring direct ownership, engagement and monetization of audiences, which transforms digital journalism into mobile-first, real-time, short form media experiences for today's mobile generation. For publishers and media outlets, MOJO adds up to one big thing: bigger audiences. In broadening coverage with authenticated contributors in their owned Relevnt Communities, publishers can set themselves apart from the standard. Mobile Journalism is a rising trend that will continue shaking up the industry at every level. It’s a new and important tool for newsroom managers and media companies who must increasingly build audience with fewer resources at their disposal. It’s an empowering new philosophy that editors and managers should embrace and be aware of the possibilities that mobile journalism offers, so they can support their teams in pursuing innovative practices. 1. Register Your Community - Buy your new mobile-first domain and map it directly to your website where it's also uniquely searchable and discoverable on the web. 2. Configure Your Community - Connect your websites’ RSS content tabs to your new Community tabs and then power it up with all new mobile-only content tabs too. 3. Engage Mobile Audiences with Value-Added Targeted Live Vidcasting - Bridge the gap between live video and podcasting with all new value-added Vidcasting around your own planned calendar of special topics and live events. 4. Grow Your Audience - Spread the word by hyperlinking your new mobile-first domain’s URL to your website, email newsletter, social media, and Google SEM to drive audiences to your new Community. 5. Monetize Your Content - Drive current and new advertising, sponsorship, and ecommerce partners in support of your new mobile-first brand experience. 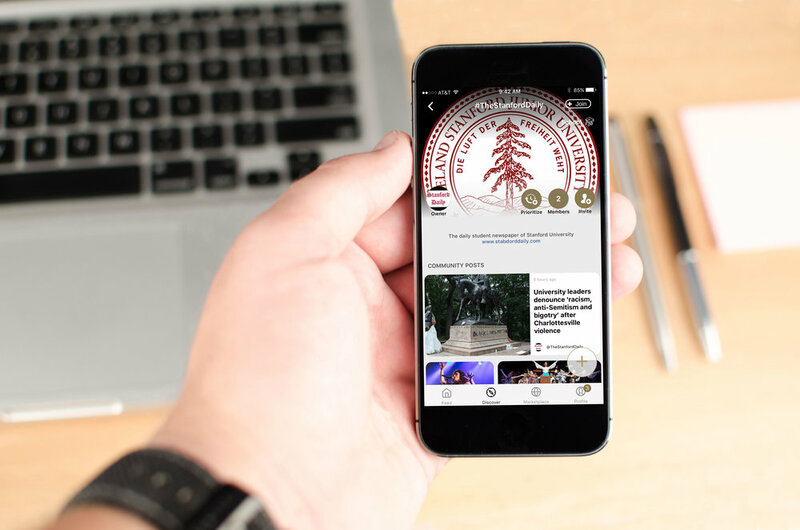 We're giving back - To inspire broad adoption of the MoJo framework for a new generation of mobile-first journalists and media brands, Relevnt is pledging 10% of its media revenues to various Colleges of Media and Journalism across the country.